If we were having coffee, we would meet up at my favorite place, order our coffees and sit down at one of the long community tables. I would look into your eyes, take a deep breath and hold back the tears. You’d say, “talk to me” because you are my friend, and you can read my face without me even saying a word. I’d spill everything, right there in public. I’d tell you how frustrated I was with life right now, how frustrated I was that the job in Albany didn’t work out because of past mistakes and how I was trying hard not to do Karma’s job and just letting go. I would tell you how I have had a few interviews for really great jobs but decided not to take them, instead choosing to go out on the road with my husband and play tourist. If we were having coffee, I’d tell you that, while I should be grateful that I have the opportunity to play tourist in a different country, I still felt unsatisfied, like I didn’t matter, like I wasn’t making a difference in anyone’s life including my own. I would tell you that I was afraid of getting old. I was afraid of my husband getting old and that I was afraid of the future and being an old person in the future. You, of course, would look at me and just laugh because you are older than me. You would put your hand on mine and tell me that it was all going to be fine, but neither one of us would be willing to bet the farm on it. I would tell you all these things with tears in my eyes and forget to drink my $5.00 coffee that I probably shouldn’t have splurged and bought. If we were having coffee, I’d tell you how proud I was of my chickens and how the smallest chicken was graduating from a very expensive college with her Masters Degree in Education in a month and just won the Intern of the Year award. I would tell you how very proud I was of my oldest chicken. Honestly, the one I worried the most about, has turned into an incredible husband and has managed not to move him and his wife back home. I would realize forty-five minutes into the conversation; I haven’t taken a sip of my already cold, expensive, designer coffee and that I have also monopolized the entire conversation. I would dry my eyes on the hipster napkin sitting next to me and look into your eyes and tell you through the tears that I was fine. Knowing that neither you or I believed that I was fine. I would finally stop talking long enough to take a breath and ask you how you were, trying not to be a bad friend. I’d ask you how your kids were doing and how was your job. I would try to be a good friend and listen to your answers and try, even for a minute, to get out of my head and care about someone else for a change. If we were having coffee, would you notice that I have turned into a bad friend because I can’t focus enough on you because I’m so wrapped up in my life? After three hours have passed and we finished our coffee, and we both needed to get in our cars and drive home, we would give each other a big warm hug and go back to our lives. I would feel slightly relieved that I had a friend that I could dump all my dirty laundry right on the hipster coffee place community table and my friend didn’t run screaming from the shop. I would feel relieved that just because this time it was my turn to dump the laundry, there have been other times it was your turn to dump your laundry, and we sorted through it together. That is what coffee is for, sorting through dirty laundry with friends. 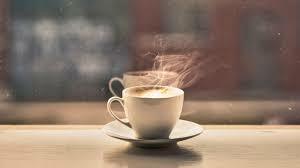 I would love to have coffee with you :). Love and hugs, my friend. Love and hugs. A lot of them. You know damn well how much I can relate right now and as such I completely empathize with your struggles. You will get through this. We both will. And if anyone were to dare think you’re a bad friend for momentarily focusing on yourself as you struggle to get by, I’d nut punch them and tell them to move on.